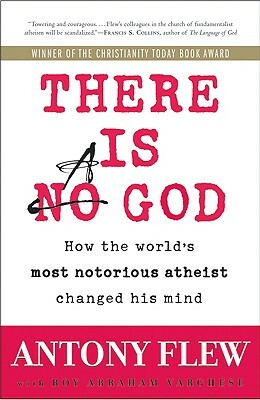 Antony Flew interviewed by Benjamin Wiker and the two reasons Flew left atheism!!! 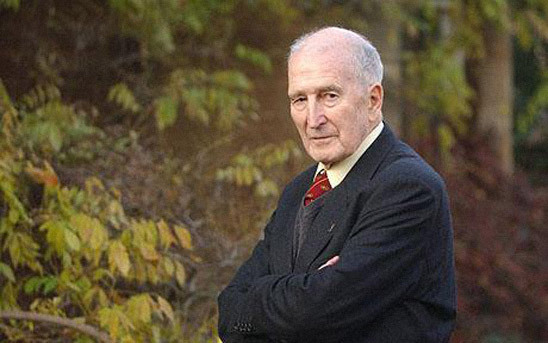 Antony Flew left atheism because of the scientists he respected saw an Intelligence behind the complex universe and the bankruptcy of the secular view of the origin of life. Antony Flew: There were two factors in particular that were decisive. One was my growing empathy with the insight of Einstein and other noted scientists that there had to be an Intelligence behind the integrated complexity of the physical Universe. The second was my own insight that the integrated complexity of life itself—which is far more complex than the physical Universe—can only be explained in terms of an Intelligent Source. I believe that the origin of life and reproduction simply cannot be explained from a biological standpoint despite numerous efforts to do so. With every passing year, the more that was discovered about the richness and inherent intelligence of life, the less it seemed likely that a chemical soup could magically generate the genetic code. The difference between life and non-life, it became apparent to me, was ontological and not chemical. The best confirmation of this radical gulf is Richard Dawkins’ comical effort to argue in The God Delusion that the origin of life can be attributed to a “lucky chance.” If that’s the best argument you have, then the game is over. No, I did not hear a Voice. It was the evidence itself that led me to this conclusion. Wiker: As for evidence, you cite a lot of the most recent science, yet you remark that your discovery of the Divine did not come through “experiments and equations,” but rather, “through an understanding of the structures they unveil and map.” Could you explain? Does that mean that the evidence that led you to God is not really, at heart, scientific? Flew: It was empirical evidence, the evidence uncovered by the sciences. But it was a philosophical inference drawn from the evidence. Scientists as scientists cannot make these kinds of philosophical inferences. They have to speak as philosophers when they study the philosophical implications of empirical evidence. Flew: Yes, indeed. I would add that Dawkins is selective to the point of dishonesty when he cites the views of scientists on the philosophical implications of the scientific data. Two noted philosophers, one an agnostic (Anthony Kenny) and the other an atheist (Thomas Nagel), recently pointed out that Dawkins has failed to address three major issues that ground the rational case for God. As it happens, these are the very same issues that had driven me to accept the existence of a God: the laws of nature, life with its teleological organization, and the existence of the Universe. Wiker: You point out that the existence of God and the existence of evil are actually two different issues, which would therefore require two distinct investigations. But in the popular literature—even in much of the philosophical literature—the two issues are regularly conflated. Especially among atheists, the presumption is that the non-existence of God simply follows upon the existence of evil. What is the danger of such conflation? How as a theist do you now respond? Flew: I should clarify that I am a deist. I do not accept any claim of divine revelation though I would be happy to study any such claim (and continue to do so in the case of Christianity). For the deist, the existence of evil does not pose a problem because the deist God does not intervene in the affairs of the world. The religious theist, of course, can turn to the free-will defense (in fact I am the one who first coined the phrase free-will defense). Another relatively recent change in my philosophical views is my affirmation of the freedom of the will. Flew: I accept the God of Aristotle who shares all the attributes you cite. Like Lewis I believe that God is a person but not the sort of person with whom you can have a talk. It is the ultimate being, the Creator of the Universe. Originally published at To the Source. Used with author’s permission. Dr. Benjamin Wiker is, first of all, a husband and a father of seven children. He graduated from Furman University with a B.A. in Political Philosophy. He has an M.A. in Religion and a Ph.D. in Theological Ethics, both from Vanderbilt University. Dr. Wiker taught full time for thirteen years, first at Marquette University, then St. Mary’s University (MN), Thomas Aquinas College (CA), and finally Franciscan University (OH). During these many years, he offered a wide variety of courses in philosophy, theology, history, the history and philosophy of science, the history of ethics, the Great Books, Latin, and even mathematics. 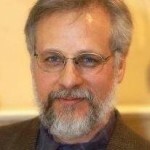 He is now a full-time writer and speaker, with eleven books published including 10 Books That Screwed Up the World: And 5 Others That Didn’t Help(Regnery, 2008); The Darwin Myth: The Life and Lies of Charles Darwin (Regnery, 2009); and Answering the New Atheism: Dismantling Dawkins’ Case Against God (Emmaus Road, 2008). Some of Benjamin’s books are also integrated into the Logos software. Follow Dr. Wiker atBenjaminWiker.com.